Power mesh is a specific type of mesh often used for the foundation of garments, in lingerie, as a lining fabric, and for decorative effects. 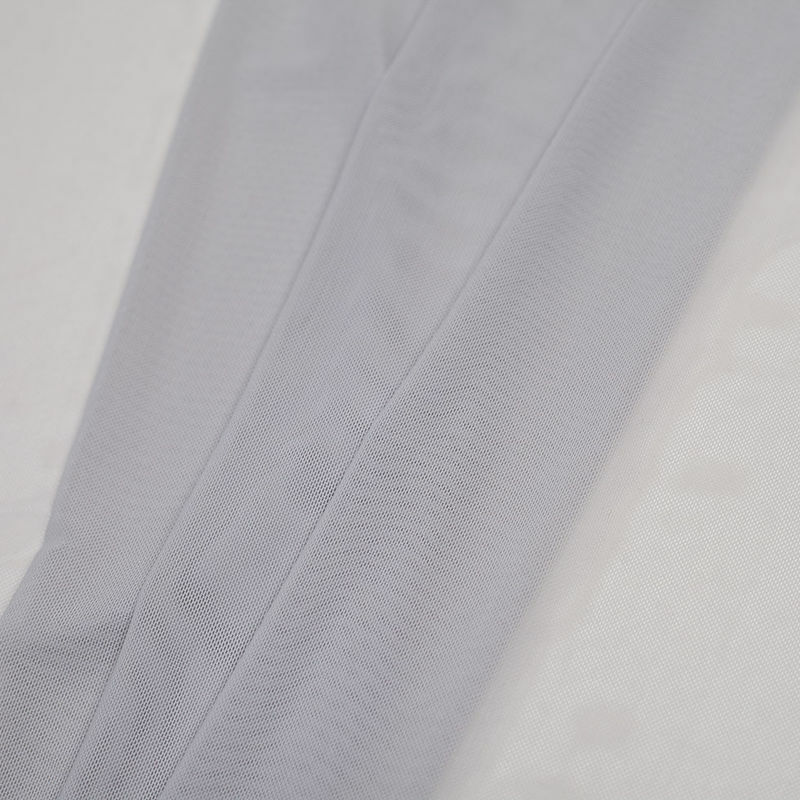 It is very well know for it's compression capabilities as well as it's beautiful drape. 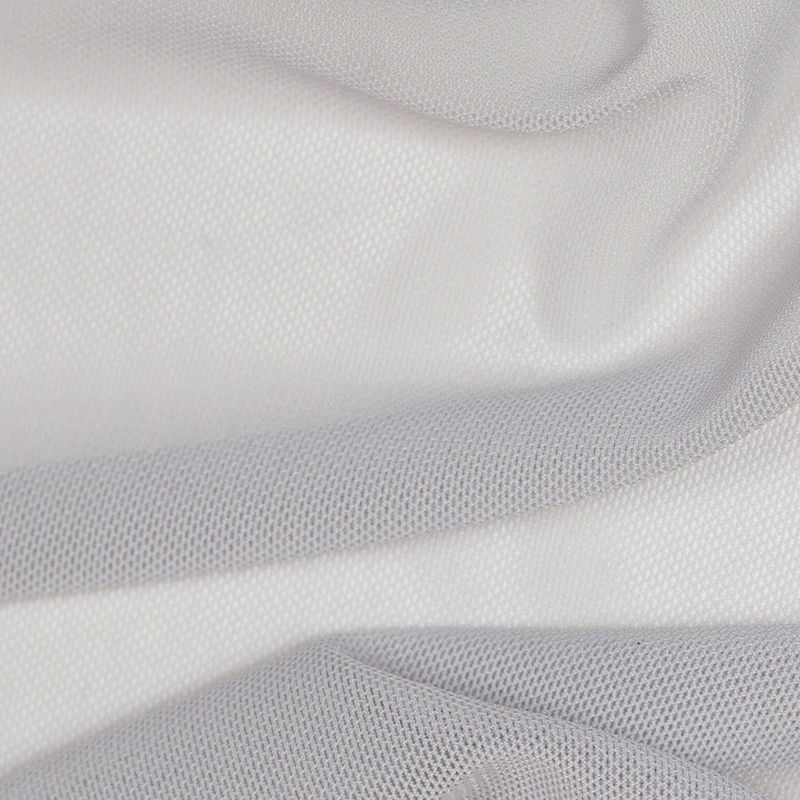 Here we have a gray power mesh made from nylon and spandex. It has a phenomenal stretch in both the warp and the weft, as well as an extremely soft hand. 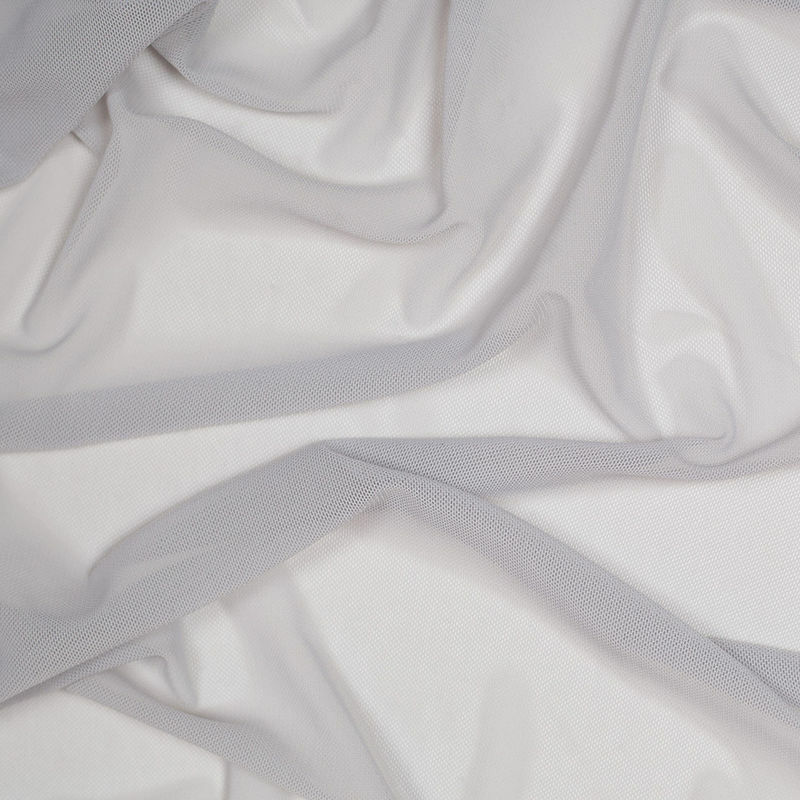 This fabric is perfect for activewear applications relating to dancers, cheerleaders, gymnasts, and ice skaters. 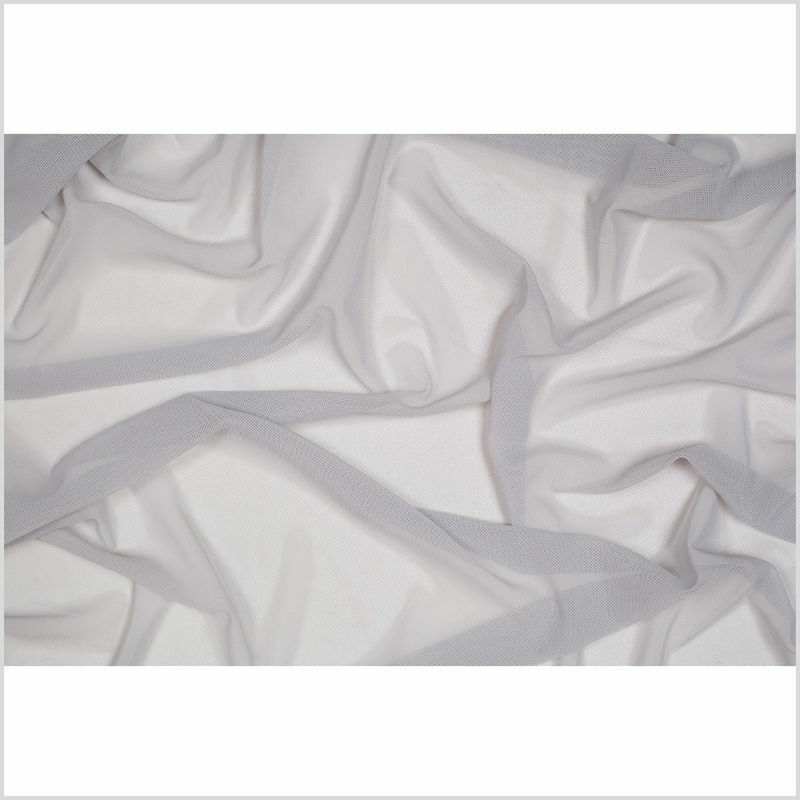 This type of fabric is also regularly used for costuming, as well as fashion apparel and home decor. Keep in mind that this fabric is completely sheer. Most items made from nylon can be machined washed and tumbled dried at low temperatures. To minimize static electricity use a dryer sheet when machine drying. If ironing is needed, iron on a low temperature. These care instructions given are for Nylon Fabrics in general, however, Mood Fabrics does not accept responsibility for fabrics that are incorrectly laundered/damaged by following these instructions. Customers must test a swatch before laundering any fabrics at home to avoid damaging the goods.